Labor Day weekend is just around the corner, and it’s time to make holiday-weekend plans! If you’re looking for things to do near Chula Vista, CA for Labor Day, you’re in luck! The area around Millenia is full of activities and events. Use this list for inspiration on where to spend the long weekend. The Annual Imperial Beach Arts & Crafts Expo is held at Veteran’s Park, Imperial Beach. It features local arts and crafts vendors, live music, a food court, and more. The Concert on the Green at Chula Vista Marina in South Bay features live music on September 1. It’s a lovely event in Chula Vista, so come on out! Also at Chula Vista Marina, a unique event on September 3: the Foam Party at Sunset Pavilion. It’s a one-of-a-kind celebration with food and fun, and a world-record attempt at the largest game of musical chairs ever played! Otay Ranch Town Center was already a great place to do shop and dine, but the fact that it’s within walking distance of Millenia makes it even better! This open-air, pedestrian-friendly destination has more than 90 specialty stores to choose from. And if you’re at the mall with kids, don’t miss Popper Fountains, where they can cool off after shopping is done. The fountain is perfect for a little splashing, and it’s right next to the food court, so you can grab a snack or refreshing beverage as well. There are so many amazing farmers markets within a few minutes’ drive of Millenia! Check out our list of where to find them and what to buy there: Chula Vista Farmers Markets. 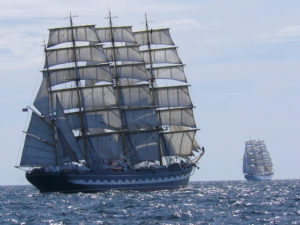 The Festival of Sails is the biggest tall-ship festival on the West Coast. Hosted by Maritime Museum of San Diego, this event kicks off as over a dozen tall ships sail into San Diego Bay. The ships are best seen along the Embarcadero between Ash Street and Grape Street. The festival runs until September 4 at the Maritime Museum. The U.S. Sand Sculpting Challenge runs from August 31 to September 3 at Broadway Pier and Pavilion. Master sand sculptors come from all over the world to take part, and their work and creations are a sight to see! This event is family friendly, with kids’ activities, live entertainment, and more fun. The Pier Pressure Labor Day Weekend Super Mega Yacht Party on September 2 is a 21+ afternoon even perfect for singles and couples who want to party in style this Labor Day! This is the area’s biggest yacht party, and it’s guaranteed to be a blast, with a live DJ and three decks of music and dancing. Go with your S/O or with a group of friends, and see where the day takes you! Bayside Summer Nights offers a great way to cap off a day in San Diego. The fireworks display set to a live San Diego Symphony Orchestra performance of Tchaikovsky’s 1812 Overture is capped by booming cannons! This special event is something you have to experience at least once. If you haven’t been yet, make this your year! Bayside Summer Nights run from August 31 to September 2 at Embarcadero Marina Park South. The Coronado Concert in the Park, on Sunday September 2, is another great option for lovers of outdoor musical events! Be in Sprekels Park in Coronado at 5 PM to see NRG, a talented group of singers and musicians who put on a fantastically entertaining show. September 2 is the last show in this year’s concert season, so don’t miss it! Love the Outdoors? Go Camping! If your family loves camping, there are some great options for Labor Day weekend camping trips in the area! Visit one of these family-oriented camps for a fun-filled weekend of outdoor activities, evening campfires and s’mores, and more! Camp Marston offers family camping weekends throughout the year, including on Labor Day weekend. The 200-acre facility has a wide range of activities great for active kids, including archery, canoeing, hiking, paintball, and more. How about three days in a beachside camping lodge at Camp Fox on beautiful Catalina Island? 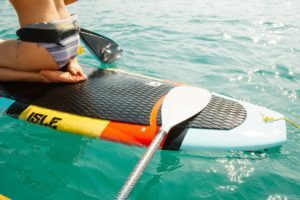 Relax in a gorgeous outdoor setting, or get active with kayaking, paddle boarding, climbing, and other fun sports. This is the perfect place to do it all! For a truly unique experience, the San Diego Zoo Safari Park offers a twist on traditional camping. The Roar & Snore Safari is a family sleepover with a twist: It’s at the zoo’s Safari Park and includes a tram ride and up-close animal encounters. On Labor Day weekend, this family-friendly special event is available only on Saturday 1, so book early! 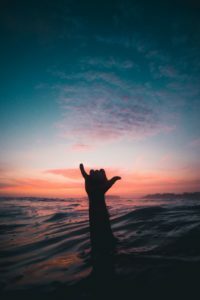 The Aloha Beach Festival is about three hours from Millenia, but a drive to Ventura is definitely worth it—especially if you book a vacation rental. This festival celebrates both Polynesian culture and the local beach community. It’s a long-time Ventura tradition founded by a local legend: Twelve-time world Frisbee® champion Chipper Bell wanted to create an event that would both unite and give back to the community. It remains one of the last festivals in Southern California that’s free to enter. With a wide range of family-friendly entertainment and fun, it’s a hugely popular event for locals and visitors alike. In 2018, the festival runs from September 1 to September 2. It’s two days of music and dancing, delicious street food, handmade crafts vendors, surfing and Frisbee competitions, and other beach-festival staples. A long weekend is the perfect time take a break from the hustle of daily life. 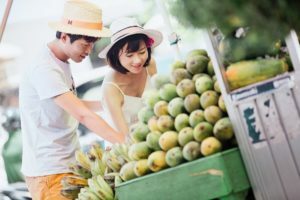 For couples who want to enjoy romantic alone time this Labor Day weekend, there are fantastic options around Chula Vista and the greater San Diego area. You can’t go wrong with a relaxing, resort-style, luxury weekend at Estancia La Jolla® Hotel & Spa. Rejuvenating massage sessions, a sumptuous menu with a Baja twist, and a good selection of amenities ensure a great time even if you never set foot off the resort. Of course, you’ll want to explore La Jolla, one of the most beautiful towns on the West Coast. 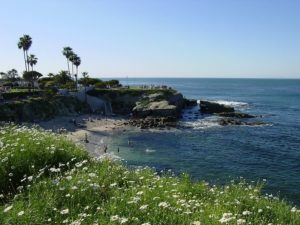 It has some of the best beaches in San Diego, as well as shopping, art galleries, and fantastic food. There are a number of hotels on and around Coronado Island easily accessible to long stretches of beach with views to Cabrillo Point and the Coronado Islands. “The Del” is an iconic island landmark, with all the sun, sand, and sea you could want for a relaxing Labor Day weekend. If the thought of spending Labor Day wine tasting in Temecula has your taste buds tingling, it’s time to start planning! Just over an hour from Chula Vista, Temecula is home to dozens of wineries just waiting for you to discover them. Some popular picks include Callaway Vineyard & Winery, Danza del Sol Winery, and South Coast Winery Resort & Spa. Rosarito Beach, which is just 10 miles south of the border. There’s so much to see and do here, from shopping and spa days to camping and outdoor activities on land, sea, and air. Swim, surf, hike, horseback or camel-ride, or rappel to make your Labor Day weekend as adventurous as you want it to be! Ensenada, Baja California’s third-largest city, just 80 miles from San Diego. Located along a stunning stretch of coastline, Ensenada offers a wide range of fun activities, from adventures on land and sea to shopping, nightlife, and plenty more. Ensenada is also a great place from which to explore the wine region of the Valle de Guadalupe, which is also known for its gastronomy. Valle de Guadalupe, Baja California’s answer to our own wine country, with dozens of wineries in this part of Mexico. This region has also developed a reputation for food. Visit Laja; Corazόn de Tierra; or Deckman’s en el Mogor, with its own resident Michelin-starred chef. Labor Day weekend is the last holiday weekend of the summer, so take some time for you! Relax, recharge, have fun, and spend time with friends and family before the busy holiday season begins. There are plenty of things to do near Chula Vista, California and activities near Millenia this Labor Day weekend. Whatever you choose to do this holiday weekend, you’re sure to make memories you won’t forget!